Clay Aiken – Catching Up! 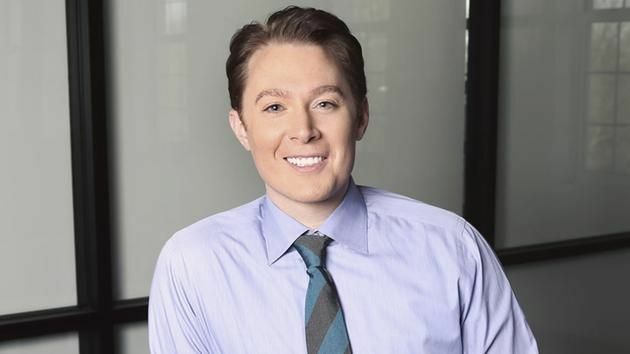 On Tuesday morning, Clay Aiken wrote a short message on his Facebook Page. Sent from London, England, the message was thought-provoking. I always enjoy reading Clay’s serious thoughts. Sometimes I agree with him and other times, well, I just have another opinion. BUT…he always makes me think and that is a good thing. It is almost like a reminder to look at the big picture and try to see all sides! Who’s your favorite #Idol alum? I couldn’t stop myself. I went right over and commented to let them know Clay Aiken is my favorite Idol!! How about you?? Tonight, American Idol-Season 15, is celebrating Hollywood Week. Do you remember when Clay was in Hollywood Week? I wonder if Clay still has the shell necklace… If so, he should get it out and put it up for auction for The National Inclusion Project. 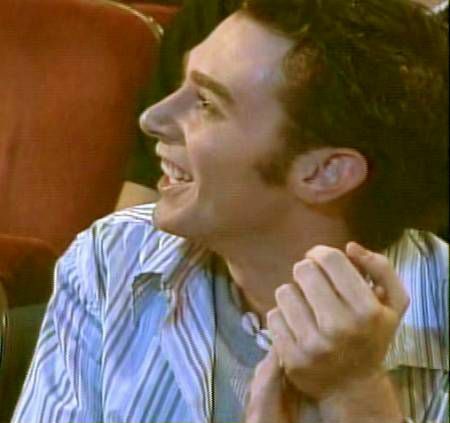 It’s a fun remembrance of the beginning of Superstar, Clay Aiken!! Do you remember Tom Deckman from Spamalot? He was the fabulous actor/singer/dancer that played the roles of Prince Herbert, Not Dead Fred, Minstrel, and Historian – in Spamalot with Clay. What a talented young man. Well…Tuesday was his birthday. Back while Clay was in Spamalot, he made sure all the stagedoor fans celebrated his birthday too! Memories, I remember Clay as skinny kid with the big glorious voice, who I fell in love with! He stood out amounst the others! Error: Error validating access token: Session has expired on Tuesday, 21-Aug-18 16:13:01 PDT. The current time is Friday, 26-Apr-19 00:17:54 PDT.